Scheels has a great deal on the 1000 size of this Shimano Catana Spinning Reel. If you’ve got a combo you want to upgrade or a couple of ice rods that need reels check this one out at 50% Off. Joe’s Sporting Goods has the best price we’ve seen on the 1000 size of this Shimano Catana Spinning Reel. If you’ve got a combo you want to upgrade or a couple of ice rods that need reels check this one out at 50% Off. 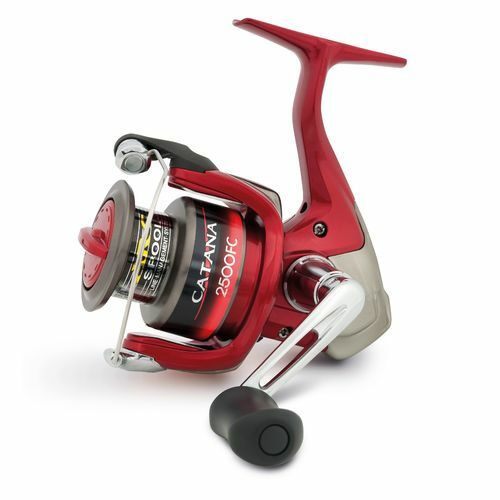 Academy Sports has a great deal on the 1000 size of this Shimano Catana Spinning Reel. If you’ve got a combo you want to upgrade or a couple of ice rods that need reels check this one out at 40% Off.